The inspiration for Pink Sands came from drinking wine whilst sat on a beach in the Caribbean watching the sunset with friends. A gorgeous pale, dry, rosé that is unmistakably Provençal. 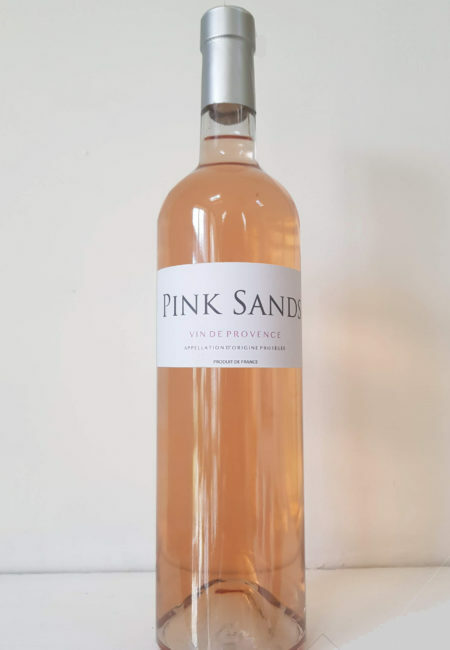 The fruit for Pink Sands is sourced from a Terra Vitis Certified vineyard, which means they adhere to sustainable agriculture regulations to reduce their impact on the environment. The vineyards are located in the heart of Provence – AKA the home of pale rosé wines. The grapes are harvested during the night when temperatures are cooler, in order to keep sugar levels stable in the grapes. This gives better control over the fermentation process and retains freshness in the grapes. This freshness is enhanced by long, cool fermentation that takes place in stainless steel vats. The resulting wine is crisp and mineral with notes of red berries and white flowers.